The iconic No. 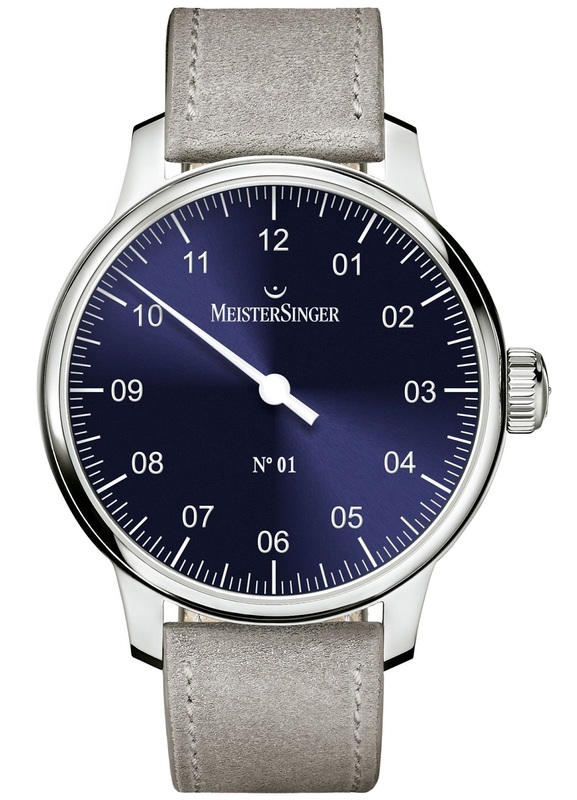 01 model from MeisterSinger is now available with a vibrant sapphire blue dial. Finished with a finely burnished sunburst effect that makes the light appear to rotate in changing shades around the dial, this blue evidently matches, better than any other color, the MeisterSinger wearers’ sense of time. With its needle-shaped hour hand precisely pointing to the five-minute markers, the No. 01 tells the wearer what he needs to know at a glance. In its stainless steel case, a manually wound Swiss movement ensures great accuracy. The sapphire blue No. 01 comes with a gray velour strap.